Sweating is a natural bodily process. It is helpful in hydrating your body. The heat can cause anyone and everyone to sweat a little. But there exists a fine line of distinction between normal sweating and chronic sweating, the latter being a medical condition. If you are concerned about your continuous sweating condition, then you need to read further for an explanation and solutions. 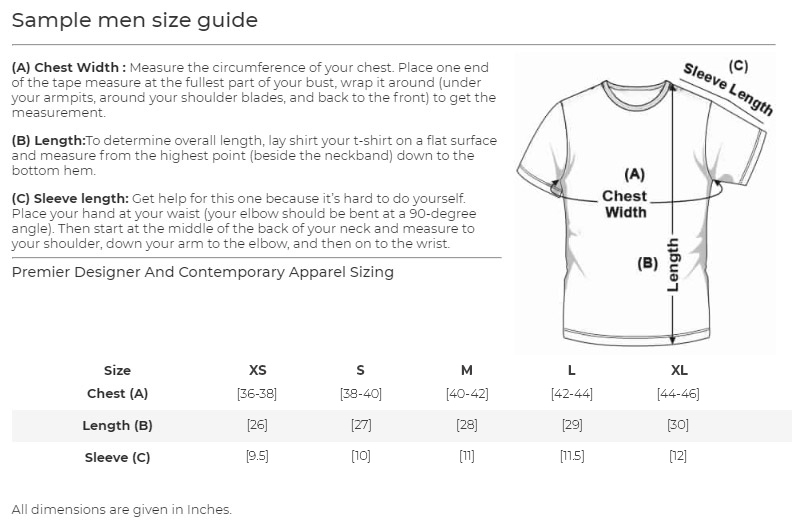 You have to constantly change your clothes due to horrible sweat patches. Or you are perennially stuck in the loop between your work desk and the bathroom to dry off the sweat all over your body. It takes a real toll on your efficiency. You are a big ball of sweat when you are faced with nervous scenarios such as a date or a presentation. The nerves get to you and make you sweat like a melting glacier, ruining your moment of glory. You face incidences of sudden sweat, at least once every 6 months. Sweating extremely only in a particular body part like armpits, back, or any other. Frequent sweat marks on your clothes. Prone to sweating extra in public situations. A sweat problem since infancy and your family has similar issues. Are you losing weight due to excessive sweat release? Seek medical advice for this condition. A condition of weight loss accompanied by chronic sweating is symptomatic of depression, hyperthyroidism, or other problem. Regular instances of night sweats also indicate a health issue. If you wake up with a sweat attack in the night, it might be a sign of hypoglycemia, tuberculosis, hormonal conditions, or menopause. 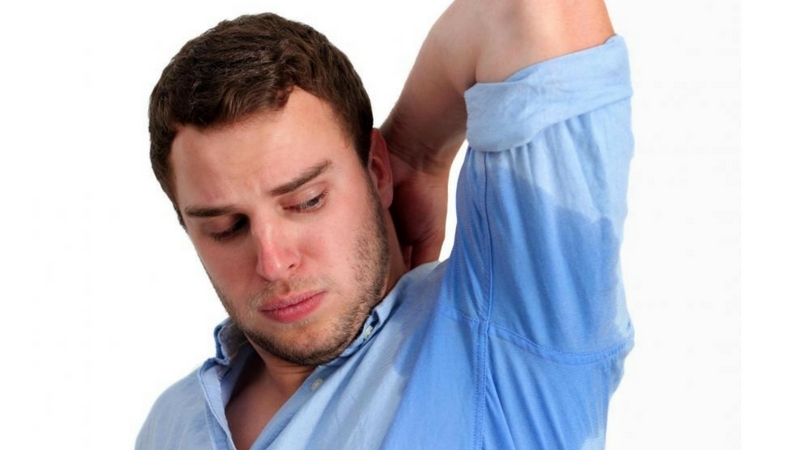 It is also caused due to a condition of hyperhidrosis. Do symptoms like shortness of breath, pain in the chest or fever occur alongside chronic sweating? If yes, then it signals at heart diseases, anemia, and other medical conditions. If you do not experience any of the above-listed symptoms, then you have a case of hyperhidrosis. When you face extreme amounts of sweat focused only in a single body area, it is a condition of primary focal hyperhidrosis. It is when you sweat accumulates in your hands or feet or back for no reason at all. You can avail treatment for this condition through antiperspirants, surgery, Botox, along with other options. Hyperthyroidism: due to an unwarranted production of thyroid hormones. Adrenal gland disorders: due to production problems in adrenal hormones like cortisol. Andropause: due to the reduction in testosterone amounts. Perimenopause: due to the reduction in the level of estrogen before menopause. Diabetes: due to inability to create insulin. Parkinson’s: due to brain disorder affecting body activities. The key to treatment is identification. Doctors identify the condition of chronic sweating through questioning and medical check-ups. You need to answer certain questions related to your sweat activities. The doctor will then perform certain tests such as the blood and urine test, starch-iodine test, paper test, and more. These tests help them diagnose your condition of sweating and allow a better treatment procedure. Heavy-duty antiperspirants offer a great means to tackle excessive sweating in armpits. Commercial products provide chemically strengthened deodorants for better results. You can also consider natural antiperspirants if you wish to stay away from chemicals. Some of the widely preferred medicines for sweat treatment are anticholinergics coupled with beta blockers. miraDry is another non-surgical process to treat your armpits. 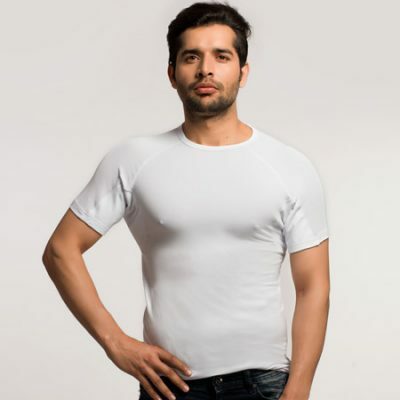 A safer and less expensive medium of curbing your sweat issues is the NG Wear sweat-proof tee. It is capable of blocking sweat from staining your clothes. 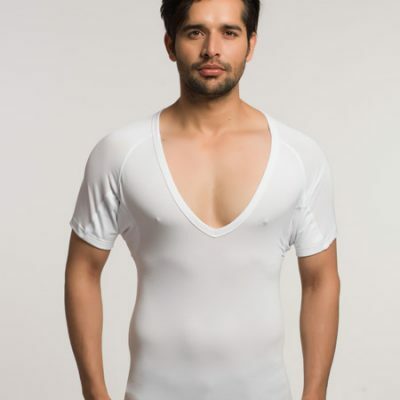 People with or without hyperhidrosis can keep their worries about sweating at bay with this t-shirt. 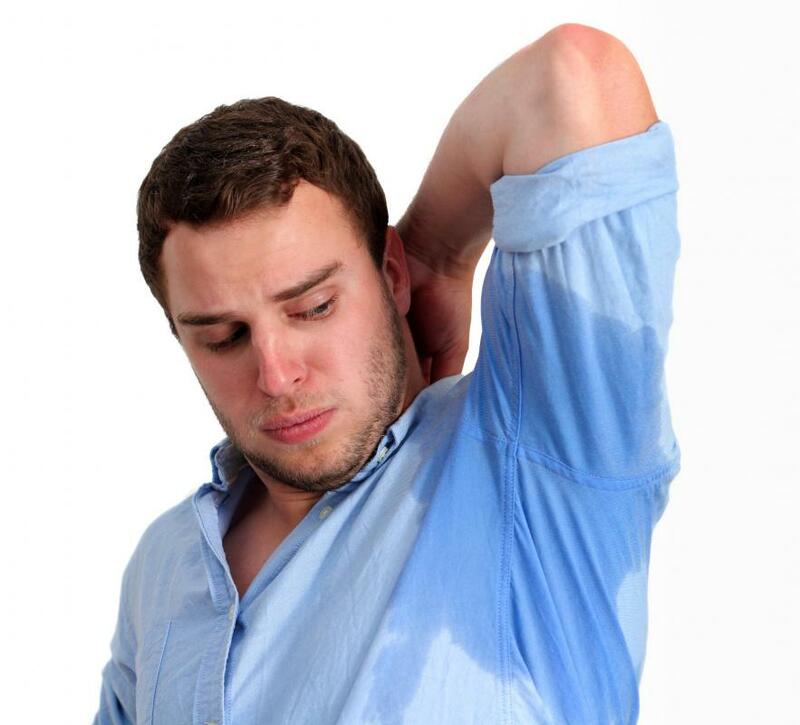 Read more about the symptoms of axillary hyperhidrosis here.